Dividend stocks is an excellent way to invest for your retirement. It allows you to create a portfolio that pays your bills without the need to sell shares. You do not have to calculate how long you are going to live and how long your retirement money have to last. With a dividend portfolio you will get money each year regardless of how long you live. You do not have to sell your share and the money will just keep dropping in year after year. Hopefully you should even receive more and more money for each year that comes. A dividend portfolio is also a good option for all other long term investors. 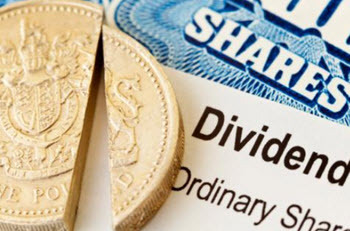 A dividend stock is a stock in a company that transfer a part of their profits to their share owners as a dividend payment. Different companies have different dividend strategies. Some companies pay a certain percentage of their profit to the share holders while other companies offer no dividends at all. Quickly growing companies seldom give any dividends while more mature companies usually do. 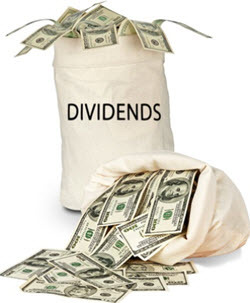 The term dividend stock technically refers to all stocks that rewards the owners with a dividend payment. The term is however more commonly used to refer to companies that gives high dividends and that have a history of giving high dividends. How do i find dividend stocks? It is very easy to find dividend stocks. Most financial magazines and countless websites offers list over dividend stocks sorted in order of yield (from high to low). Simply do a quick Google search to find a list of the stocks that gives the highest dividends right now. What should i think about when choosing stocks? Choosing dividend stocks does not have to be difficult. Your goal is to choose stocks in well established companies that give you a good yearly dividend. There are plenty of lists online that lists high yield dividend stocks. Use one of these list as a starting point. Analyze each stock and see if they fulfill your requirements to be included in your portfolio. You should be looking for a company that have a history of paying high dividends. It is not enough that they pay a good dividend one year. They need to have given a growing return year after year. It is very dangerous to focus too much on the dividend payments for a single year. The dividend yield during a certain year does not say much about a companies average dividend yield. A certain year can be affected by one time events and special dividend payments. Make sure that you choose companies that have a stable history of high dividends. Never invest in a company with high dividends but a shrinking profit. These companies are often dying a slow death. The board doesn’t know how to invest the money to restart growth so they choose to give it to the shareholders instead. How high yearly dividend can i get? The answer to this question depends on how high diversification you want to achieve. The more diverse portfolio you want to build the lower total dividend yield you will get. The reason for this is simply. If you are okay with a lower diversification you can choose to invest in the stocks that gives you the highest dividend return possible. If you want a high diversification you will need to include more stocks in the portfolio. This means that you have to include stocks with a lower dividend yield. You can build a decent portfolio that gives you a 5% yearly dividend yield. If you want a well diversified portfolio this number will go down to 3.5-4%. Which alternative that is to be preferred depends on your risk preferences. I always recommend a well diversified portfolio. The answer to this question depends on how much money you feel that you need to live when you retire and how high dividend yield your portfolio gives you. Lets assume that you want to get USD5000 a month when you retire and that you plan to build a well diversified portfolio with a 4% yearly dividend yield. This means that you have to build a portfolio worth (5 000 * 12 = 60 000 / 0.04 = 1 500 000 before you retire. This might sound impossible but is often easier than you think due to the power of compound interest. Lets assume you are planning to retire in 30 years and want to have 1 500 000 saved when you do. We are also going to assume that your stock increase in value by 10% a year and that you get an average dividend yield of 5% annually. You use your dividend payments to buy new stocks. In this scenario you only have to save USD 253 a month to reach your goal. Something that seems a lot more achievable than the 1 500 000 did. The earlier you start the less you have to save each month.